Anyone interested in buying either my book or disks in time for Christmas may like to place their order now. I will be unable to ship any books or disks after 17th November until 11th December, which brings us rather close to Christmas. International shipping is usually excellent, but it can vary enormously. The majority of my packages reach the US between one and two weeks after they are placed, but I am at the mercy of the postal services and US customs and sometimes a package will take longer. Shipping to Canada has been very slow recently for no apparent reason. Shipping to Europe sometimes takes just a day or two and sometimes it is more like 10 days. The book and disk package is a great Christmas present either for yourself or for a crafty friend or family member. If you wanted to add to it you could consider a kit from Sally Battis or Jamie North. 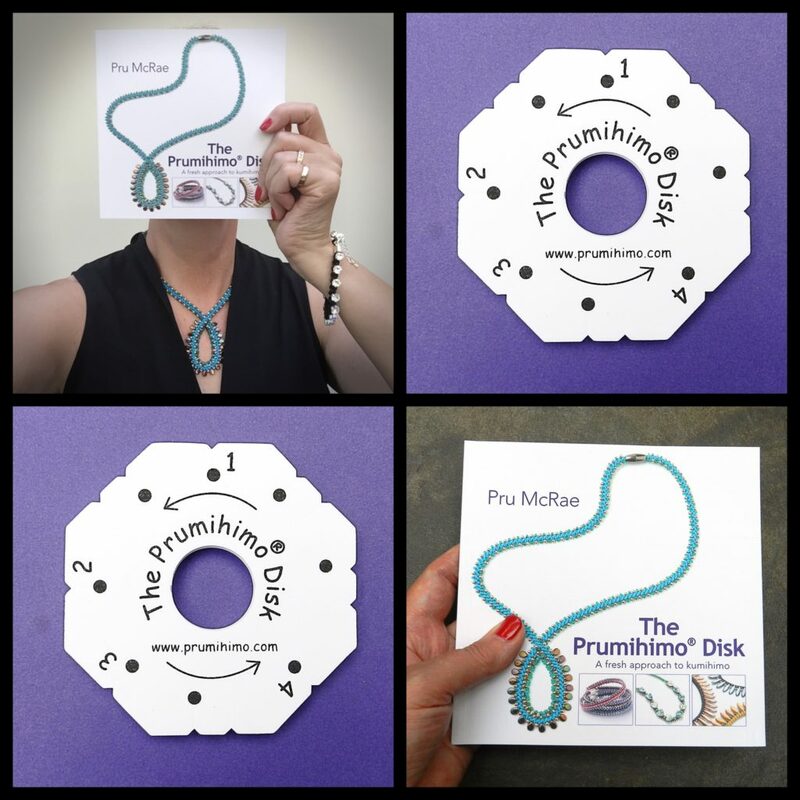 If you visit Sally’s site just search for ‘prumihimo’ and a number of options will come up for the regular thickness Prumihimo disk. 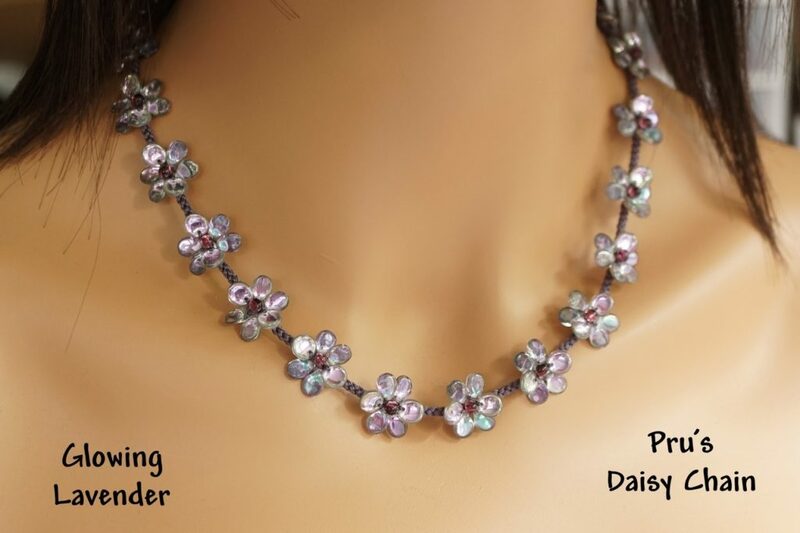 Search for ‘Daisy Chain’ and there are a couple of kits for the extra thick version of the Prumihimo disk. 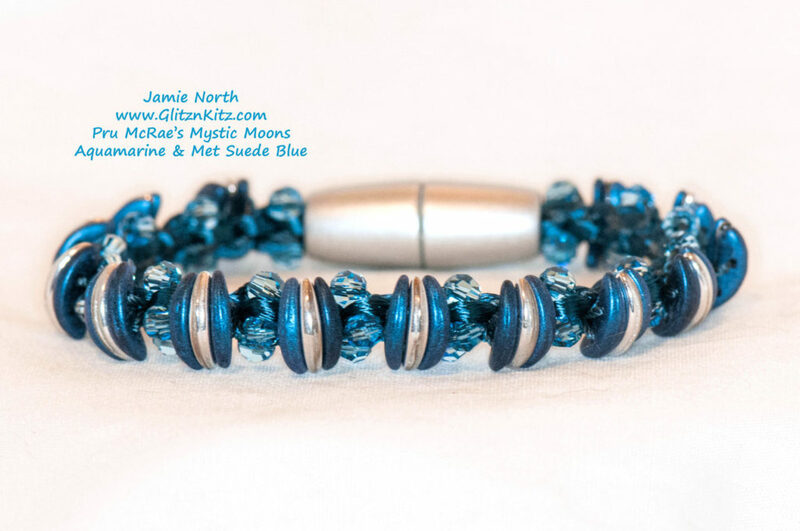 On Jamie’s site search for ‘Mystic Moons’ and don’t forget to buy a GatorWeight Lite to complete the gift. Alternatively, you could add in some cord and beads. I recommend a reel of S-Lon (0.5mm/Tex210/#18), some satin cord/rattail (1-2mm) and a tube of size 8 seed beads. A weight would be a good addition. I can’t think of a better surprise to unwrap on the big day, even if it is not such a surprise because you got it for yourself! You will find several different options for buying my disk and book. The muli-disk options make best use of the shipping allowance and they could easily be split up for separate gifts.